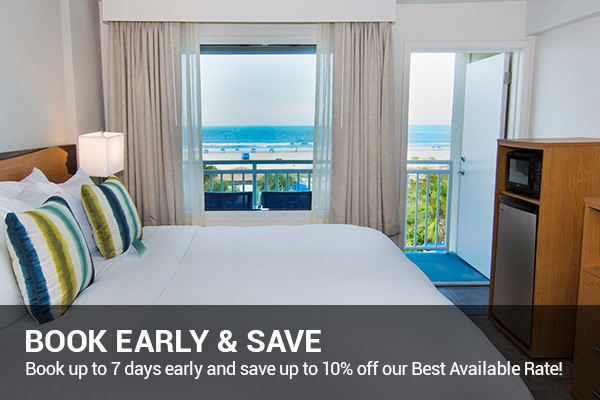 Book up to 7 days early and save up to 10% off our Best Available Rate! Enjoy your beach getaway and receive up to 10% off our Best Available Rate. Unwind by the outdoor pool and enjoy food or a drink from the Guy Harvey Surf Shack. Only a short distance away from historic downtown St Augustine. Stop by the Outfitter Store for booking one of our adventures or to purchase the latest Guy Harvey apparel. Advance Purchase offer requires full payment at booking and is non-refundable and non-transferable. Seniors only receive a special offer of up to 15% off our Best Available Rate! Exclusive Savings for Seniors Only! 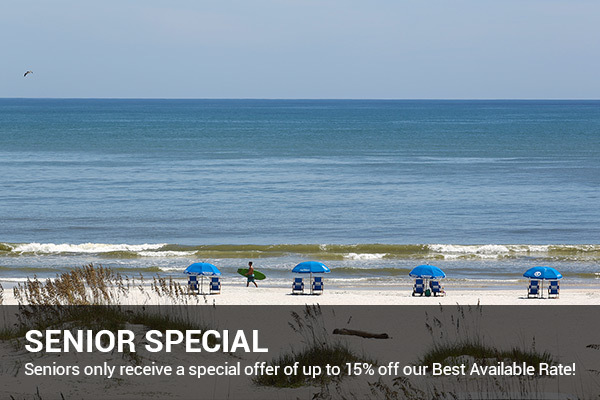 Enjoy your beach getaway and receive up to 15% off our Best Available Rate. Basic 24-hour cancellation policy applies. Black out dates apply. 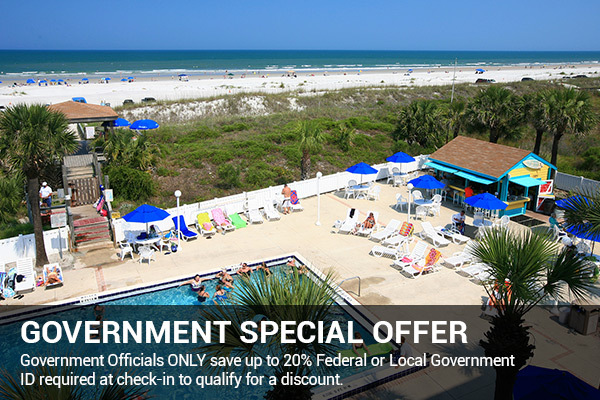 Government Officials ONLY save up to 20% Federal or Local Government ID required at check-in to qualify for a discount. Exclusive Savings for Government officials Only! Enjoy your beach getaway and receive up to 20% off our Best Available Rate. 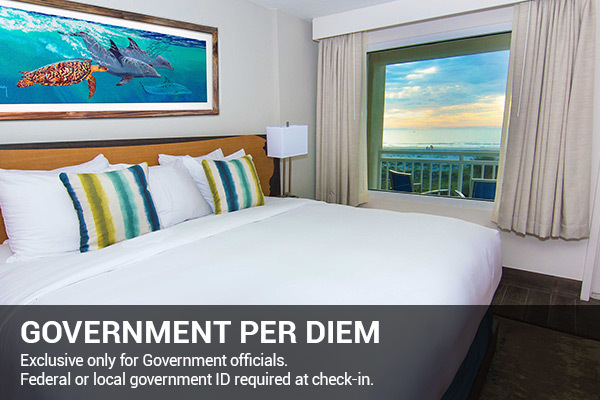 Federal or Local Government ID required at check-in to qualify for discount. Basic 24-hour cancellation policy. Black out dates apply. Exclusive only for Government officials. Federal or local government ID required at check-in. Basic 24-hour cancellation policy applies. Black out dates apply. ID required at check-in.